Are you aware that some studies have shown that your brain cannot distinguish between hunger and thirst? Sometimes when your body is telling you that you are thirsty, your brain may be hearing that you are hungry. So what do you do? You put food in your mouth when a glass of water might have been sufficient. Most food has calories, most water doesn't. Simple equation. 'Nuff said on that topic. By the way, ever wake up in the middle of the night and crave a snack? Nine times out of ten, a glass of water will do the trick. I know, I didn't believe it either until I tried it. It really works! Tissue, muscle, cells, even blood are all comprised to a large per cent of water. When your brain starts getting signals that water is needed...well, remember the confusion factor mentioned above? We eat something instead of giving our body what it really craves and needs! Your entire body works much better, by the way, when the fluid levels are kept up where they need to be. I drink lots of liquid and still gain weight! Sure you do, but what KIND of liquid. I won't even talk about sodas, coffee, or tea sweetened with sugar. I'm going to assume that you already know that sugar is not the way to go if you want to lose weight, but what about the artificially sweetened drinks? Artificial sweeteners can cause you to gain weight. Some studies have shown that using artificial sweeteners can contribute to weight gain in at least two ways. First, there is the confusion factor. When you use artificial sweeteners, you, and your brain, become confused about the calorie content of the food you eat. You may actually find yourself eating more in an effort to satisfy an internal urge or interpretation, and this urge may be related to the assumed "fact" that the sweet soda you just drank didn't have that many calories, so neither does this cinnamon roll. Actually, before artificial sweeteners, our bodies and brains were pretty good at relating calorie content to food based on the sweetness. Our bodies' understanding of "sweetness" and the development of the internal calorie estimating apparatus mentioned above apparently occurs in childhood. Early use of artificial sweeteners could cause the grown-up years later to ingest more of sweet foods than they should. Your body is a complicated device which has developed a huge number of inter-related, synergistic, stimulus sensing and automatic response mechanisms. It has learned to begin things happening inside when something sweet is detected. The digestive system is prepared to receive a certain type of fuel...which it welcomes! When you ingest food or drink which has been artificially sweetened, all your little hormones, glands, cells, and systems begin asking, "What's going on?" Like prisoners in an old movie, they start rattling their tin cups and yelling out, "FEED ME!" Oh yeah, that was the plant in "Little Shop Of Horrors", wasn't it? Anyway, your internal messengers are now not very happy, nor will they be until you send down some calories for them to munch on. See the trap? It reminds me of when I managed a restaurant when people would order a salad and diet drink and then smother the salad in high-calorie, high-fat dressing and have ice cream for dessert. Get the picture. It might even be worse! Even though a lot of people who want to lose weight are drinking artificially sweetened drinks, a lot of these drinks - coffee, tea, sodas - contain caffeine. Caffeine is a diuretic. It dehydrates you, causing your body to lose water. Remember, water = good. 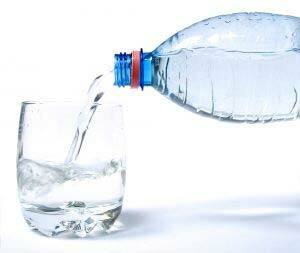 When you are dehydrated, low on internal liquid, your metabolism slows down. This means your body gets by on fewer calories and stores the rest as fat. Think it through: You get dehydrated, you get thirsty. You just drank a cup of tea, coffee, or soda, so you can't be thirsty, can you? Since your brain can't really tell the difference between hunger and thirst signals, it tells you to eat something when all that's really going on is that you need a drink of water. 1. Substitute water for most of the other stuff you're drinking. 2. "Buy" your artificially sweetened drinks. My wife came up with this idea, but I have seen it used in other contexts as well. If you drink an artificially sweetened drink and/or one with caffeine, buy it back with at least an equivalent sized drink of water. Eight ounces of coffee? Follow it with eight ounces of water. 5. Can't do without sweetened drinks? Try stevia. 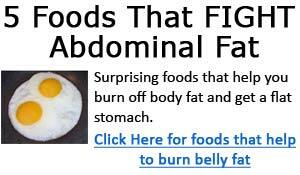 This is a natural food additive available online and at most health food stores. While it has a sweetening effect, the FDA does not allow it to be called or marketed as a sweetener. Due to its chemical makeup, it does not seem to produce the cravings for more food as do other non-sugar sweeteners. I read that in a book, but I tried Stevia and that's how it worked for me. I was drinking four to eight cups of coffee sweetened with artificial sweeteners a day, and munching tons of snacks as I drank the coffee! I started using stevia, and the desire for constant snacking went away. I will warn you, while technically VERY sweet, it does have an acquired taste. I figure if I could get used to it, anybody could. It's the only sweetener in our house now. Donovan Baldwin is a Dallas area writer and internet marketer. A graduate of the University of West Florida (1973), member of Mensa, and retired from the U. S. Army, he has written poems, articles, and essays for over 40 years on a wide range of subjects. 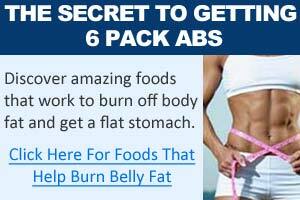 Find health, fitness, and weight loss tips here.